Ha̱msa̱lał “Hornet” are respected as spirit protectors for warriors. If a warrior’s spirit is this bright insect, the paddles on their regalia will be a bright yellow mixed with black. The name Ha̱msa̱lał refers to the humming sound that these insects make. This sound is associated with the presence of spiritual power from Winalaga̱lis. 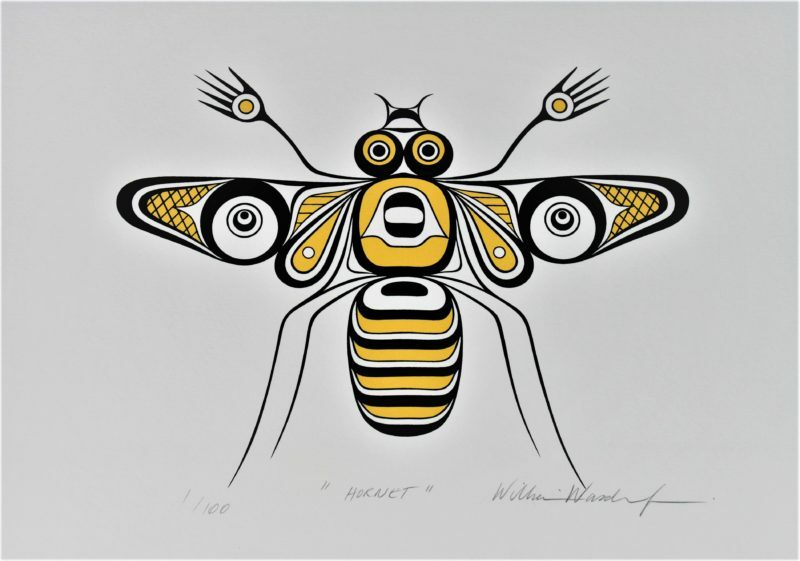 The Kwakwa̱ka̱’wakw have an instrument that is a small wooden paddle in the shape of the hornet’s wing attached to a long rope that is spun over the head to imitate this powerful humming sound, indicating the spirit of warriors is near. - William Wasden Jr. 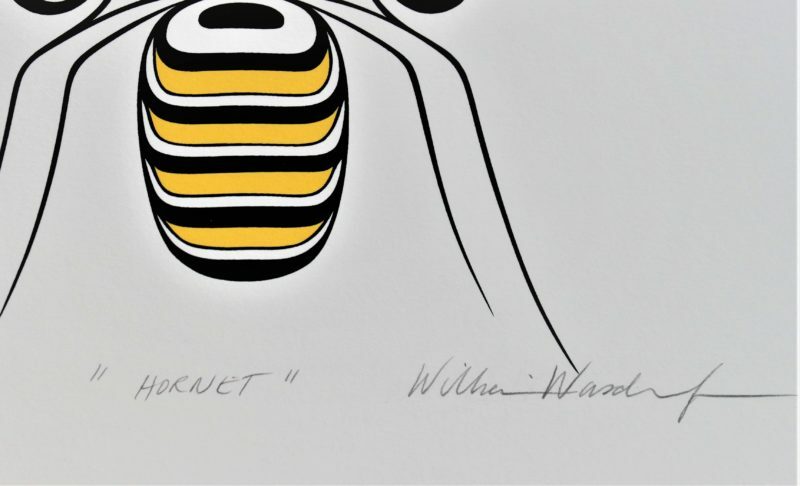 This limited edition silkscreen print titled "Hornet" by William Wasden Jr. was hand produced by the screen printing process. It is the only limited edition printing of this design. The artist has inspected and signed each copy in the edition. All trial copies of this edition have been destroyed and the printing stencils obliterated. Published by Cedar Hill Long House Art Publishing.